For over 30 years we have worked together with YVR cultivating an award winning international ‘experience-based’ brand. We are proud to contribute successful and sustainable design enhancements improving the overall visitor and employee experience by car, plane and transit. 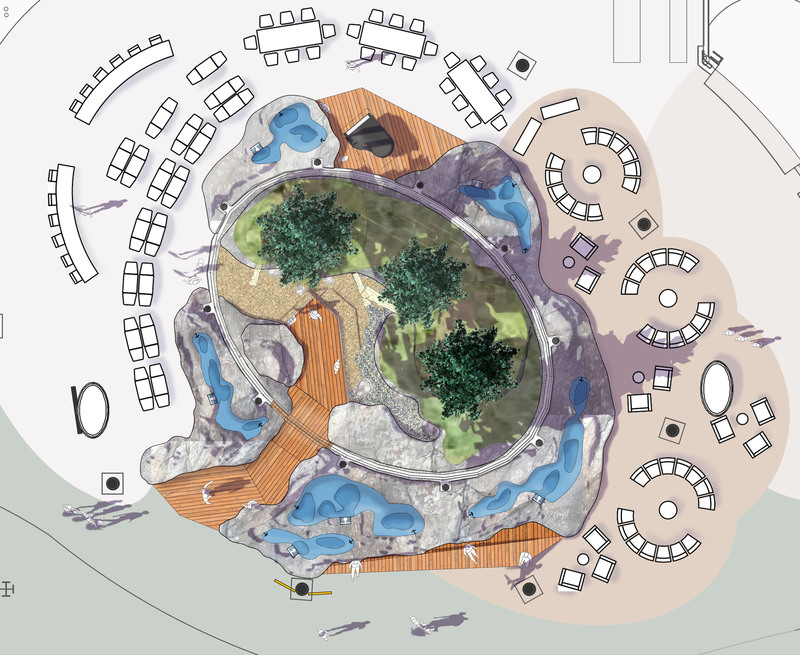 Creation of an island, tide pool, and forest experience welcoming passengers and providing a calming place of respite. Tide pools will simulate high and low tides. The forest will be open to the sky and will feature installation of 30 foot tall conifer trees! Reinforcing our place in the ‘River Delta’ – Replacement of existing at grade value lot parking with a visitor landscape experience. 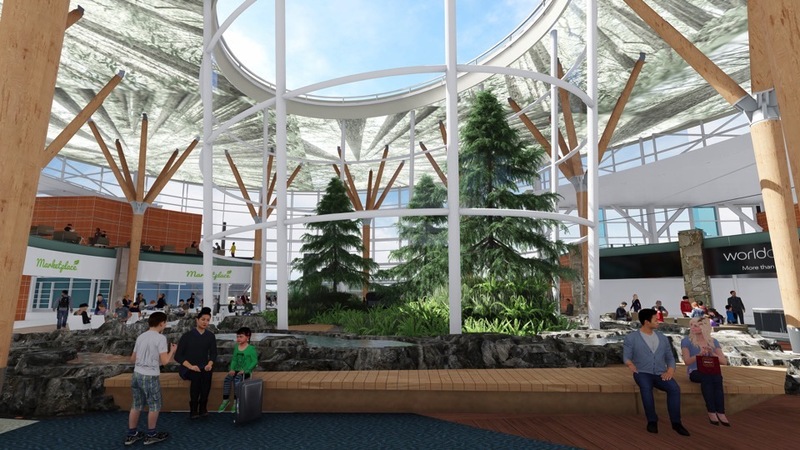 The project will integrate a geothermal plant and parkade structure to provide a more sustainable heating and cooling supply for the terminal. Rainwater will be harvested and collected for re-use. Working together with the Burkeville community and YVR to study design opportunities enhancing the Templeton Road right-of-way into a local and regional public amenity and provision for connecting multi-use pathway to the Canada Line Stations. Passenger valet parking shuttle facility. The landscape design symbolizes our place in the estuary. The project features transplanting of onsite significant trees, drought tolerant design, stormwater management within linear bioswales, infiltration, and will achieve Salmon Safe Certification. The new staff parking lot addresses tree canopy, stormwater management practices featuring bioswale infiltration and Salmon Safe Certification.